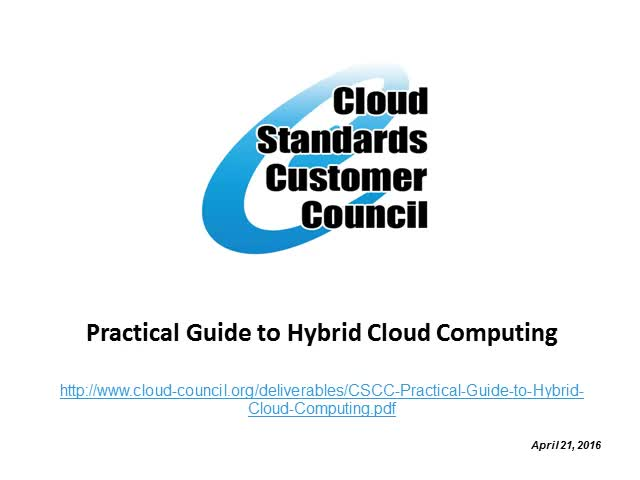 The Cloud Standards Customer Council will define hybrid cloud computing, explain why this deployment model is essential for addressing business requirements, and outline the key considerations that customers must take into account as they start their transition. The presentation will include strategic and tactical activities for decision makers implementing hybrid cloud solutions. It will cover all the essential technical considerations for hybrid cloud deployment including integration, connectivity, governance, management, security and privacy.